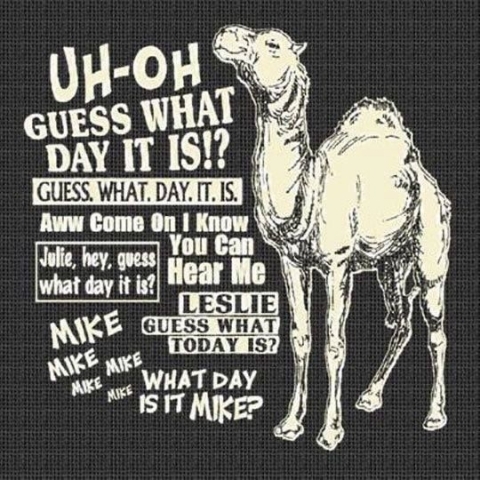 It's Wednesday--what day is it?? | A.B.E. Remodeling, INC.
Hello out there... so today is Wednesday making it the middle of the week hump day. Only next week's hump day of the week will be Christmas Eve day. It's almost here now. 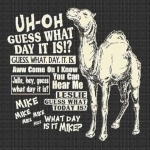 So says the camel; "Mike, mike, mike, Lisa, Lisa, Lisa, Joe, Joe, Joe, Sally, Sally, Sally...so on, are you ready? We are only one week away from Christmas Eve. And then next Thursday the big man with the red suit and black boots arrive. The pressure is on now.... Get those last minute details up to date. So that's all for today....get shopping, get wrapping, continue baking, etc. etc.